The Pickleball Lob Shot: A Winning or Losing Strategy? This may be the first time I’ve dedicated an entire article to a single shot, and it’s not even about the dink or the drop shot. This month, we’re talking about The Sometimes-Boring-and-Annoying-But-Sometimes-OH-SO!-Gratifying Pickleball Lob Shot. One of the best ways to improve your pickleball game is to play with better players. It forces you to play at the top of your ability, makes you pay for your mistakes, and puts you on the fast-track to a higher skill level. All of that is GREAT for you, but how about for those “better players” who are playing with you? Playing with you keeps them from having to play at the top of their ability, keeps them from paying for their mistakes, and keeps them from improving their skill level as quickly. 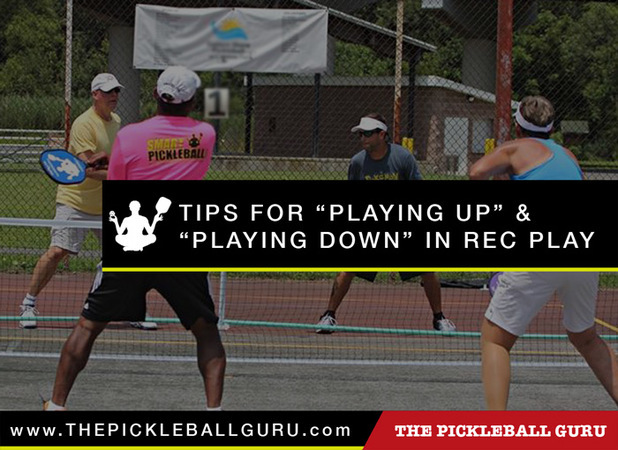 The culture of pickleball has always been very welcoming and inclusive of new players, but as you become more intent on improving your game, you DON’T always want to play with less-experienced players. So the question is: as a newer player, how can you graciously get to play with better players so as to improve your game? And as a better player, how do you “remember your roots” and play with lower-level players, and when is it fair to ask them to step aside so you can get a higher-level play? Should I buy a new pickleball paddle? With so many options, how do I know which one is right for me?